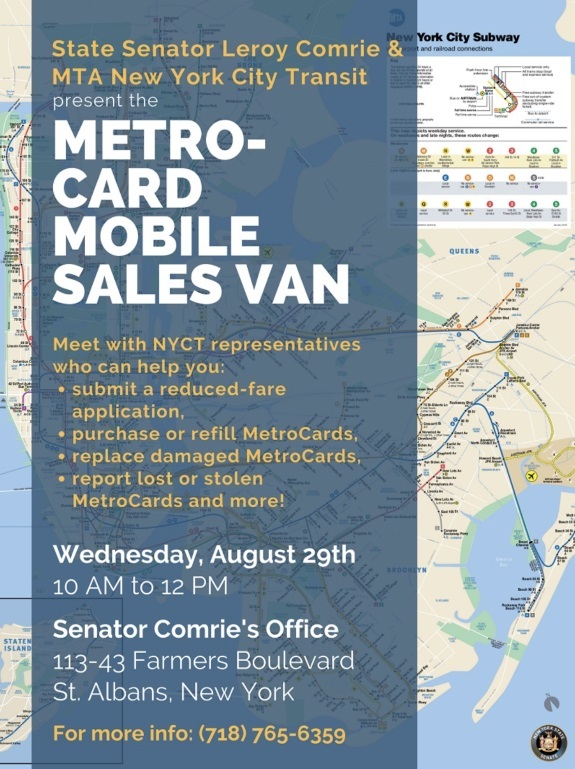 State Senator Leroy Comrie & MTA New York City Transit are pleased to present the Metro-Card Mobile Sales Van. Meet with NYCT representatives who can help you: submit a reduced-fare application; purchase a refill MetroCards; replace damaged MetroCards; report lost or stolen Metrocards; and more. Labels: State Senator Leroy Comrie & MTA New York City Transit are pleased to present the Metro-Card Mobile Sales Van.